I was there for the first night and the excitement about bringing the new arena to Brooklyn was visible everywhere you went. Many locals who weren’t even showgoers gathered around Barclays Center before the concert. I watched one guy being interviewed by NBC’s Andrew Siff describe the event as being “like Mahatma Gandhi himself coming to earth”. For some reason his drunken declaration didn’t make the 11 o’ clock news broadcast. A full gallery of photos from the concert can be seen here. 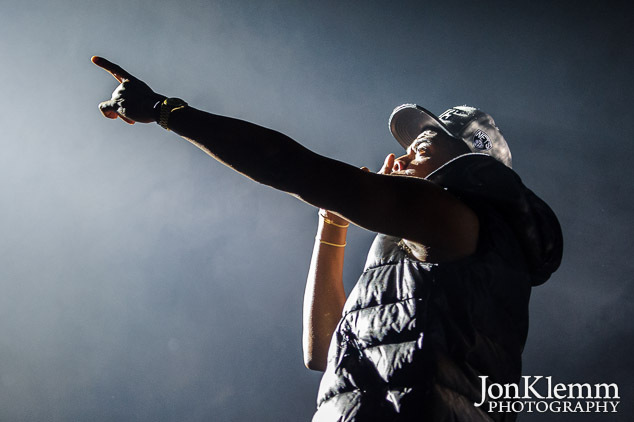 This entry was posted in Concert Photography and tagged Barclays Center, Brooklyn Nets, Grand Opening, Jay-Z.